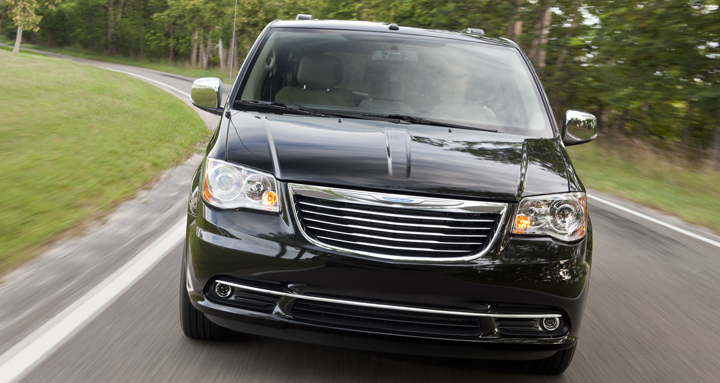 The Town & Country minivan, a Chrysler mainstay since 1989, is expected to be replaced by a Chyrsler-brand crossover. 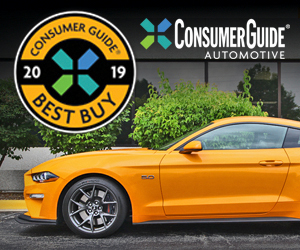 You may not realize it, but the Chrysler Group cleared a huge symbolic hurdle when introducing the 2013 Dodge Dart compact car earlier this year—that hurdle being auto critics like us. As the first significant offspring of the Chrysler-Fiat alliance, the Dart had to be light-years better than the mediocre Caliber it replaced for the partnership to have lasting credibility with the public or its lenders. Happily for the Pentastar folks, the Dart has so far met with wide acclaim, thanks in part to its stout CUSW architecture, which looms as Chrysler’s most commercially important platform since the K-car appeared more than 30 years ago. That’s because CUSW—(“compact U.S. wide”) will eventually host eight small and midsize cars and crossovers for Chrysler and Fiat, according to trade weekly Automotive News. Among the upcoming CUSW spin-offs is a trio of compact crossover SUVs for Chrysler Group—or maybe two. Actually, it’s a little hard to tell what will happen, as intel has been conflicting and Chrysler-Fiat CEO Sergio Marchionne has been unsurprisingly vague in recent statements on the matter. Nevertheless, here’s how things seem to be shaping up. First, the dated Jeep Liberty will be redesigned for 2014 on the CUSW platform. The replacement reportedly will premiere at the Detroit Auto Show next January. AN quotes various sources as saying that some versions, probably uptrim editions, will offer a new 3.2-liter derivative of Chrysler’s 3.6 Pentastar V6, likely with a next-gen version of Fiat’s mpg-boosting MultiAir valve-control system. What’s more, the new V6 is set to be teamed with a 9-speed—yes, 9-speed—automatic transmission as another fuel-economy booster. Other Libertys would probably use the Dart’s 2.4-liter 4-cylinder, one of the recently refettled “Tigershark” engines. Marchionne suggests that the new Liberty will weigh around 3,600 pounds minimum, some 500 pounds less than today’s base 2WD wagon. Because of the platform change, front drive will replace rear drive as standard. Four-wheel drive will again be offered, and Marchionne promises a “trail-rated” package, but the new unibody Liberty won’t be as off-road rugged as the body-on-frame SUV it replaces. 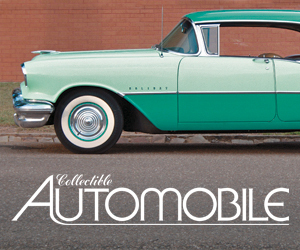 By the way, we hear that the redesign may include reviving the Cherokee name from the Liberty’s predecessor. Turning to the Jeep Compass and Patriot, they will remain in production—alongside the Dart at Chrysler’s Belvidere, Illinois, plant—until August 2014. At that point, the Compass will go away, not least because it has been a consistent slow-seller that has never been widely seen as a “real Jeep.” What happens to the Patriot is unclear. Like the Compass, it’s built on the Dodge Caliber platform, which means it’s a already crossover, albeit a bit more rugged-looking than Compass. But with Liberty soon to be a crossover too, there would seem to be no need for another Patriot, and Marchionne hints there probably won’t be one. As he told workers at Belvidere in mid-May, “There are a number of candidates to take the place of the Compass,” though he didn’t elaborate. We think one of those candidates might be the smaller “B-class” Jeep that’s expected in the next couple of years. Aimed mainly at boosting brand sales overseas, especially in Europe, it would probably be a bit larger than a 2-door Jeep Wrangler and would major in 4-cylinder fuel economy and urban-jungle driving ease, not off-roading. The last piece in this puzzle involves a new Chrysler-brand crossover to replace the Town & Country minivan, but which may continue that name. Though Chrysler remains the minivan sales leader, the market isn’t as large as it used to be, and the company has decided it only needs one minivan going forward: the Dodge Grand Caravan, which is being redesigned for 2015. That makes the Chrysler crossover a probable 2015 intro as well. Little is known about it, but Automotive News says it could resemble the Mercedes R-Class, though perhaps more in appearance than size or price. Considering that the R-Class has been pretty much a sales dud all over the globe, we hope that the “new T&C” isn’t anything like the Benz. What about Dodge? Well, it may get to keep a minivan but it’s apparently being denied a new CUSW crossover. This strikes us as odd, as the brand is now down to just two midsize SUVs, the aging Journey and the larger Jeep Grand Cherokee-based Durango. Then again, Marchionne has been bent on eliminating duplicate models from the entire Chrysler lineup, which is why the Liberty-based Dodge Nitro is no more. The CEO thinks this will forge clearer brand identities and reduce consumer confusion in showrooms—an important sales consideration now that 90 percent of Chrysler dealers carry all four of the company’s volume brands. That’s basically all we know about Chrysler’s compact-crossover plans, but keep checking back with The Daily Drive for more information as it becomes available. Also check Consumer Guide Auto’s main site for in-depth Future Car reports on all these models and other upcoming new cars and trucks. Written by: Chris Poole on June 1, 2012.on March 11, 2018.